My name is Amit Sharma. I couldn’t locate any “Introduce Yourself” page on this forum. I have been a member of this forum for long but was never active. I will try to be active from now on. I met Mr. Achal Bakeri, Chairman, Symphony Coolers in Ahmedabad. We had some conversation on discussions related to value creation in the business of Symphony Limited. Mr. Achal Bakeri stated that the value creation in a business happens when the market capitalization of the business grows/increases. I didn’t find this statement rational. In my opinion, the value creation in a business happens when the business is able to generate free cash flows for the shareholders of the Company, or RoCE improves and the business is able to create entry barriers. 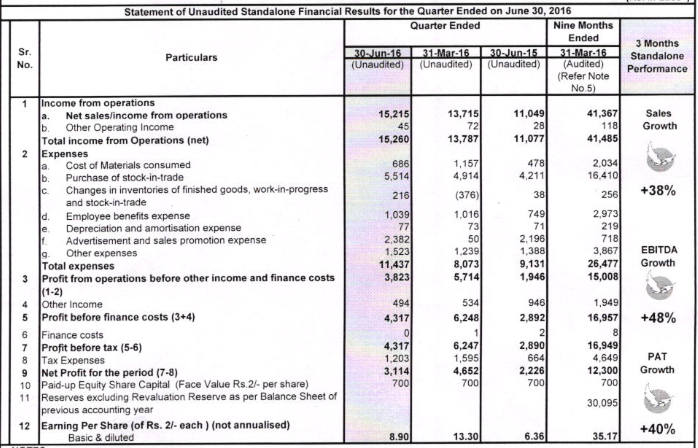 If it comes to analysing Symphony Limited, they are a negative working capital business. They are asset light, no debt, good Profit margins and RoCE. The Company has design copyrights and they have a good design team and they come up regularly with innovative designs creating entry barriers. This way the business is creating value for the shareholders. I just couldn’t understand as to why he was placing much emphasis on market capitalisation rather than these elements. In my opinion, market capitalisation is the work of the market and it goes up and down in a moment. But the strengths of the business don’t wither out easily and they result in healthy free cash flows for the shareholders of the Company. For me, the value creation is these strengths of the business. May be, he got influenced by the crazy valuations of the start-ups…!!! Key points from Mr Nrupesh shah’s interview on Bloomberg. China has a trade agreement with several south east Asian nations. Symphony sees this as a doorway to that market. While Indian exporters have to go and search for customers in the international market, western companies approach Chinese manufacturers on their own. Symphony sees this as a opportunity for accessing this western mkt. MKE’s R&D facility is one of the best in Asia. Better than symphonys, it matches US & Australian standards. Symphony has been in the air cooler market for 27 years. They ‘know’ the customers and the traders expectations. Air coolers while looking like a simple white box has 200 parts in it. Symphony’s 100% focus on air coolers allows them to provide better products, newer products with customer centric features and esthetics ( in comparison to air coolers just being one other product in competitors portfolio). They are confident of maintaining their market share (45%-50%). + growth from the unbranded to branded aspirational shift . International market - Medium term to long term growth . International mkt currently contributing 15%. They will take it to 50%. Industrial coolers - Long term growth. 8 out of 10 customers who walk in to buy a cooler ask for symphony. Their tonnage based 4-12 ton air coolers for the market ‘in between’ residential and industrial coolers has received a good response. Calling it the Rolls Royce of air coolers. Symphony expects this to be a game changer. My place(TN) not being a ideal place for coolers I find very few new models here. Hope members from the west / north could verify these claims and the customer response to the new ton based cooler. Symphony files for wall mounted cooler patent. Do these patents practically work in India? We have iPhone look alike phones. Pharma industry is another example. This is a game changer product for Symphony and caters both lifestyle and budget. For middle class it will give a feel of AC (wall mounted), lower bills (compared to AC) and fits pocket as well. This is a fantastic innovation in my view. It is like buying a look alike iPhone. Why would not I rather buy an AC itself? A little expensive but worth it! As per the press release, the cooling area by the wall mounted cooler is equivalent to a 1.5 ton AC and costs Rs 15000. From various sites, I could find cheapest split AC at apprx. Rs 23000 and window AC at apprx. Rs 21000. Which is higher by roughly 47% - not a small amount. Discl - invested from lower levels. no transactions in last 9 months. I think we should also take in consideration the operating costs savings of a cooler vs. AC. Cooler consumes 1/10th of the power than AC. Typically during a hot season (say for three months), the average monthly electricity bill of operating an AC is around 3K, for three months it is 9K. But for cooler it will be just 900 for 3 months i.e. a savings of 8K in an year (recurring every year). In a country like India, where people are so much focused on operating costs (read mileage of a car) these cost savings matter a lot. This is not the first time there is uncanny resemblance to the ACs. Previously we have seen: moving away from the drab window wall mounted coolers, tonnage coolers, with remote control and now split (AC) coolers. There has been slow but steady moving away from unorganized to branded coolers. Symphony’s market share was defended and I believe resemblance to AC wouldn’t matter in the downside. Symphony’s strategy is more like heads I win and tails I don’t lose much. We have two ACs in our bedroom still my father (and others in our household) wanted to buy a cooler for our hall/living area/balcony since as noted it is energy efficient (even than 5 star rated inverter ACs), costs less and I don’t have to modify our house (i.e. making sure all sides it is closed). This is India and I’m sure people would think about lower capital expenditure and lower operating cost (kitna deti hai?). People can easily afford any high end ACs (0% Bajaj Finance, 1st month “free” EMI, etc. or even otherwise) but there are instances where coolers would score over ACs. Nonetheless, I feel total number of ACs sold will be more than the total number of coolers sold going forward. Symphony held conference call to discuss its results for the quarter ended March 2016. Following are the key highlights. The standalone net sales for March 2016 quarter grew by 10% to Rs 137.15 crore. The net profit has grown by 27% to Rs 46.52 crore. The standalone net sales for nine months ended March 2016 grew by 18% to Rs 413.67 crore. The net profit has grown by 31% to Rs 123 crore. The consolidated net sales for nine months ended March 2016 grew by 18.5% to Rs 444.36 crore. The net profit has grown by 41% to Rs 118.37 crore. For the quarter, domestic revenue grew by 11% YoY, while exports rose by 10% YoY. The company’s growth was better than industry for Q3 and 9M. 42% OPM in Q3. OPM increased for the quarter on account of lower raw material prices, better operational efficiency and economies of scale. The mgmt hopeful of maintaining same level margin on short to medium basis. Sales during the quarter were robust in South and East geographies with some territories posting triple digit growth. North and Central are expected to pick up in June quarter on account of strong heat wave. 19% consolidated and 15% standalone volume growth in 9M. Volume stood at 7.17 lac units on consolidated and 7.08 lac units on standalone basis for 9M. 65% growth seen in Modern Trade. 41% growth in town coverage. Package air cooler market is growing well. No organized player is present in this market. The mgmt said that for the quarter, its sales were not in line with expectation. It is hopeful of better June quarter. Symphony launched two new models during the quarter which included ‘Cloud’ – wall mounted air cooler similar to split AC and ‘iPure’ – air cooler with inbuilt air purifier. Subsidiaries contributed Rs 30 crore to sales for 9M. In the international business, South East Asia is growing excellently well while the company is appointing new distributors in Russia and Uzbekistan. The company has also secured orders for new models launched in Keruilai under centralized AC segment. Impco is gradually moving to asset light model with 35-38% of real estate being already monetized and expects to be fully asset light in next 12-18 months period. MKE’s bulk of the business comes in June quarter and expects it to turnaround in medium term with Working capital requirement of Rs 35 crore while in FY17 requirement will be Rs 15-20 crore. The domestic air cooler market including organized and unorganized is 7m units growing at 10-12% annually. Of the total market, 20% is organized which is growing at 15% annually. Introduction of GST to expedite conversion of unorganized to organized market. High end models contribution in terms of value is in excess of 30%. The company’s volume market share has increased from 40% to 45% YoY and value market share has increase from 45% to 52% YoY. China air cooler market size is around 10 mn unit. The company has around 30 air cooler models. Does anyone know the review of recently launched wall mounted Cloud model of Symphony? I think it was launched in Ahemdabad. Does anyone know the review of recently launched wall mounted water cooler (Cloud) of Symphony? I think it was launched in Ahmadabad. The results look worse than what they did even two yrs back ie Jun-14 when they did 153 cr topline and 46 cr PBT after a huge 39 cr spend on ads? I don’t see any margin for safety at these valuations with growth looking tough in face of new competition from well established brands like Voltas, Bajaj, Havells, etc. On top of this poor performance the mgmt said it was a good qtr. Not expected from Symphony mgmt. This space can very well become hyper competitive like ACs and big players can bleed for much longer to gain mkt share from Symphony. The large untapped mkt will no longer be for just Symphony. Disclosure: Exited after results, after holding for about 18-months. There were lots of unsold inventory from past two years(poor summers) at the dealers and retailers level. . This unsold inventory is fully sold out this summer.All growth seen is incremental to that. Hence the numbers look flat. Before next summer, dealers will start stocking up again. Better results will be seen then . This is seen among other air cooler comps like Bajaj electricals too. Discl - Invested in both . I recently visited SPAR at a Bangalore all. SPAR is the super market type wing of Landmark group who own Max fashions. Spar had Big bazaar type value offerings. It was using centralized air coolers instead of air conditioners . I did a bit of digging andnd found it was done by Symphony. Met a mid level management guy from SPAR, He said they save about 70-80% on electricity costs by using industrial coolers. Further within this year all SPAR outlets both upcoming and existing ones which use centralized conditioners will be converted to industrial coolers . While this was predictable for SPAR, he said two upcoming Max fashions standalone outlets will have centralized coolers and NOT air conditioners. In future it may be rolled out to all Max’s standalone outlets. All projects are to be done and maintained by symphony ,throughout India. Max fashions is one of India’s rare retail success stories. If they have adopted this strategy . the cash strapped other biggie retailers will follow soon. They selected Symphony because of all India presence and corporate trustability. The growth for symphony can be exponential from here on. Bakeri further said that Symphony, a leading maker of air coolers, has over 50 percent market share in organised sector. Prashant: Could you talk about the kind of demand you are seeing in Q2 or rather what kind of demand you have seen in Q2 so far? A: It has been very robust and our historical track record of compounded annual growth rate should continue. Ekta: If you are talking about that, are we looking at 33 percent volume growth, 100 percent year-on-year growth in the export market in this quarter as well? A: I cannot get into specifics but I will say that the overall trend of the past few years or the past few quarters can be extrapolated and you could assume that the current quarter and the next will be confirming to those numbers. Prashant: Could you talk to us about what your business? A: The organised sector, of which Symphony is a part, still comprises about 25 percent of the total sales in the country. So the vast majority, nearly 75 percent still comes from the unorganised sector. However, within the organised sector Symphony has a dominant market share of about 50 percent, so the rest of the 50 percent comprises of whole host of companies, some that have been around for several years and some are relatively new entrants. As far as our pricing and how do we respond to competition is concerned, we have not resorted to any price change of any sort whatsoever because we realised that regardless of where we are the competition would have to price themselves at a safe 10-15 percent lower than us to be able to survive. So any change upwards or downwards would be sort of mirrored by the competition - that’s one. Second, Symphony has been driving the rate of growth in this category through its innovation, through its advertising and everything and sadly none of the competitors are able to do that. Ekta: Your wall mounted coolers, how much of growth are you seeing in terms of volumes post launch? A: It just test marketed in Ahmadabad last summer, so it’s too early to comment on what kind of growth that will generate for us. However, I must say that Symphony is the one that is driving the category, whether its wall mounted air coolers or whole host of other models that we are in the process of introducing in the market. So you can expect a lot of innovative products from Symphony and also innovative marketing and advertising as well.